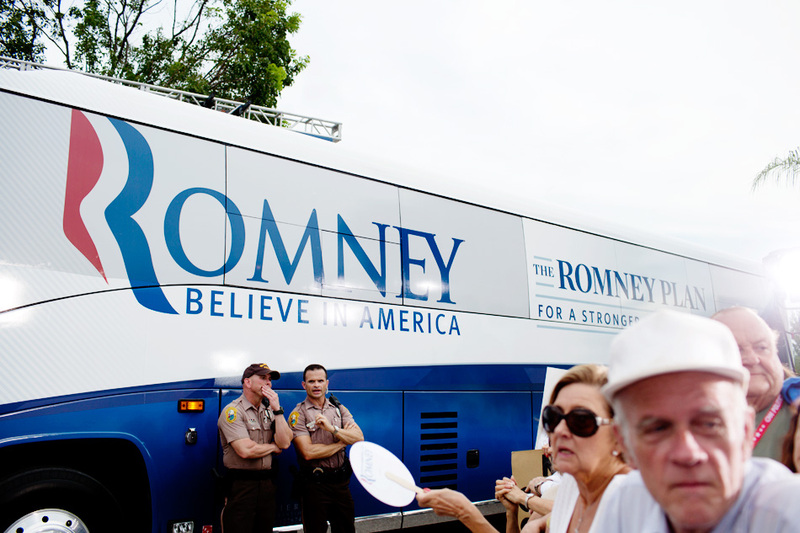 I went down to Miami to shoot the Romney campaign bus at a rally where it was featured prominently. The bus isn’t usually incorporated into the visuals of an event to such a degree, so I was glad to see it pull right into the event. I got there several hours early, sweated through my clothes almost immediately in the Miami swamp heat and then stewed for several more hours. My access was severely limited (something I’m not used to on the campaign trail) and I wasn’t allowed to go into the crowd. I hung back with the rest of the corralled-off media in the rear of the party, meeting photographers who were so very different from my regular crowd of colleagues and friends. You might consider them a step above paparazzi. Their livelihoods depended upon them making sellable images of famous people on spec. They were initially helpful, but once the event started, some of them became vicious and territorial in a way I’d never really seen before. I’m in the camp that believes a career in photography should be fun, not soul-crushing. 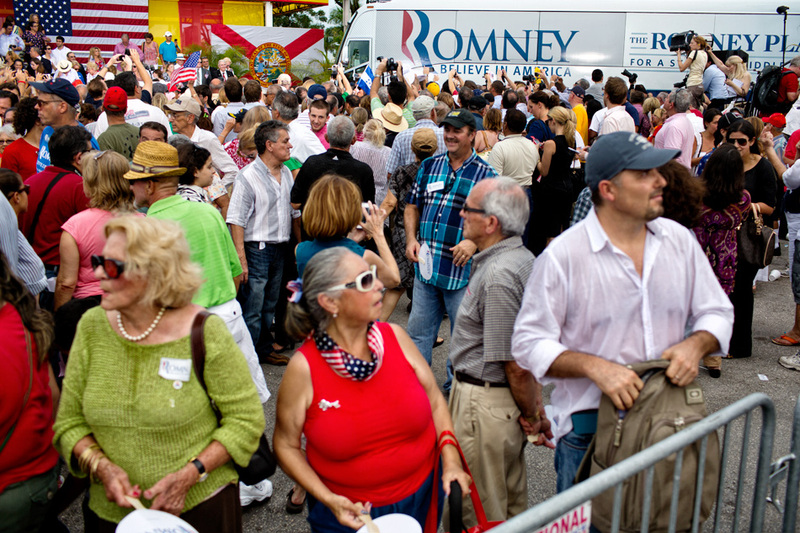 Anyway, after Romney left the event, I was allowed to wander. I stayed longer than I needed to, enjoying the colorful crowds and sampling the Palacio de los Jugos’ incredible fruit juices. I spent 3 days in Miami and I put on 10lbs eating Cuban food. Good gravy, it’s good. 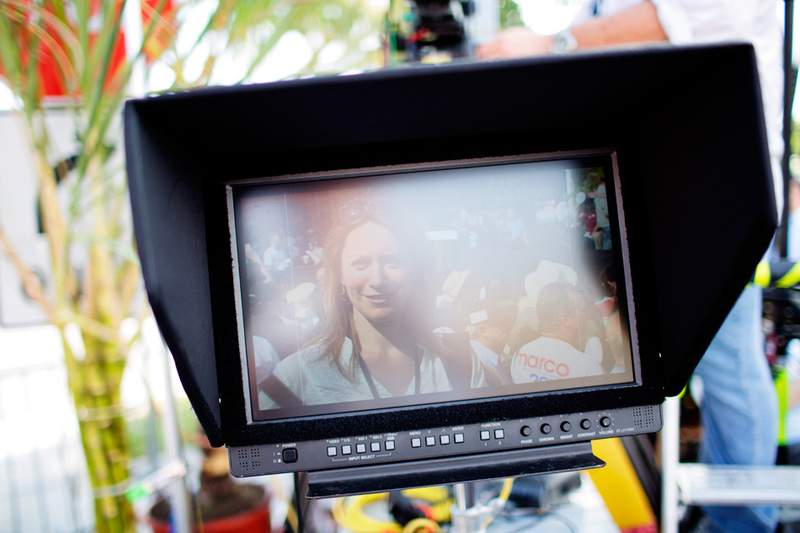 This is me on some ABC equipment. My super mega anchor crush David Muir used it later. Swoon. Posted on 09/23/2012 08/07/2013 by Melissa Golden. 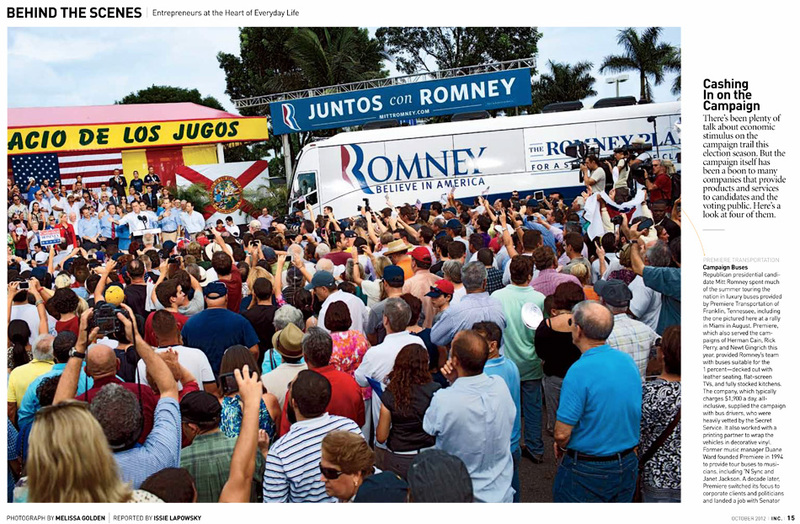 This entry was posted in Inc., On Assignment, Politics and tagged bus, campaign, florida, Inc., miami, On Assignment, palacio de los jugos, Politics, romney. Bookmark the permalink.